Wine fans for centuries have traveled to the birthplaces of their favorite wines in order to enjoy the special pleasure of drinking them where the grapes are grown and the juice fermented. Here are just three—one from the seventeenth century, one from the eighteenth, and one from the nineteenth. Because of political setbacks at home and his problems with a chronic cough probably due to tuberculosis, Locke, a trained doctor, sought out a more temperate climate away from his home in London. In November 1675, he left for France with the intention of traveling as far south as Montpellier, a city with a major medical practice and where the weather would be much warmer. During his three and a half years in France, the philosopher wrote more than fourteen hundred pages of notes on what he saw and experienced. While living in Montpellier, Locke made several trips to nearby wine regions. 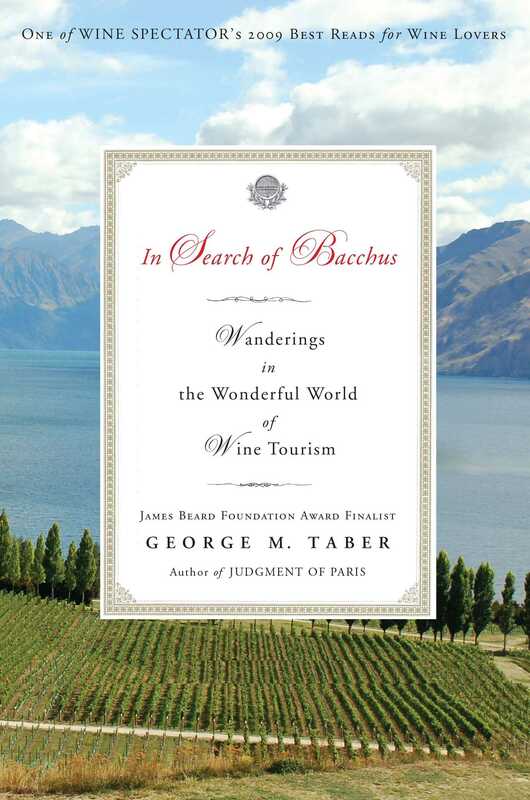 He carefully recorded how winemakers went about their craft, the quality of the wine, and the prices. Locke wrote that locals “seldom make red wine without the mixture of some sort of white grapes, else it will be too thick and deep colored.” He also noted that peasants grew several varieties in the same vineyard and described in detail how farmers planted and pruned their vines. Locke later wrote in a more detailed report of his visit to Château Haut-Brion: “There is such a particularity point in the soil that the merchants assured me that the wine growing in the very next vineyards, where there was only a ditch between, and the soil, to appearance, perfectly the same, was by no means so good.” That ditch, and the difference in the wines from the two vineyards, are still there today. As he traveled, Locke was shocked to see the drop in wine prices since he had been there only a year earlier. Wines were selling for one-third as much as before. The reason was a glut of wine precipitated by a war between France and Holland, which had severely reduced exports to both Holland and England. In Saumur he wrote, “The white wine here in this town is very good & wine so plentiful that they sell it for 18 deniers the pint at their boushons i.e. where people in private houses sell their own wine by retail.” Locke also noted that ten deniers of that went to the king as excise taxes, while the vintner got only eight deniers. Later in Angers, wine was selling for one-fourth as much as before. In the port city of Rochelle, the price of wine was down 50 percent, with the exception of President Pontac’s and “some others of particular note” that still sold for twice as much as the rest. While going through Bordeaux on his second trip, Locke did not revisit Haut-Brion. In late April 1679, Locke boarded the Charlotte in Calais for the return trip home, and two days later, he landed at the Temple stairs, on the Thames, in London. John Locke never again returned to France. A little more than a century later, Thomas Jefferson, on July 31, 1784, arrived in France to join Benjamin Franklin and John Adams as representatives of the new United States of America, which less than a year before had signed the Treaty of Paris, ending the American Revolutionary War. Although Jefferson was familiar with the political philosophy of John Locke, there is no evidence that he was aware of his writings on French wines. Nonetheless, Jefferson was to follow many of the Englishman’s tracks across France’s wine country, which he recorded in even greater detail. Jefferson had already long enjoyed wine and had made unsuccessful attempts to grow wine grapes at his Monticello estate in Virginia, where he had a well-stocked cellar. Thus it was not surprising when, four days before he was to depart for France from Boston aboard the sailing ship Ceres, Jefferson bought four cases of German white wine from the Rhine to get him through the voyage that was to take twenty days. And less than two weeks after arriving in Paris, he purchased 276 bottles to start his new cellar there. Jefferson’s partners in the diplomatic mission were also fond of French wine. Benjamin Franklin had a Paris cellar of more than eleven hundred bottles with an emphasis on Champagne. John Adams had landed in Bordeaux in April 1778 when he first came to France and had seen some of the wine country there on his way to Paris. Jefferson, though, had a substantially stronger interest in wine and set out to learn more about topics such as Burgundy wines, which were almost totally new to him. During his first years in Paris, Jefferson stuck to his work of learning French and observing the internecine world in the court of Louis XVI and his wife, Marie Antoinette. After two and a half years of diligent work, however, Jefferson, in early 1787, decided to tour France for several months. The explanations for the trip were many. The official reason was that he was going to look into the potential for exporting American tobacco and whale oil to southern France. The clandestine one was that he was going to meet a Brazilian revolutionary in Marseilles who was trying to get American support for a movement to drive the Portuguese out of his country. Another story was that he was going to Aix-en-Provence in hopes that its famous thermal springs could help heal his right wrist, which had been injured during some horseplay with Maria Cosway, his then romantic interest. Jefferson’s overriding reason, though, was to visit vineyards and to buy wine directly from producers. Jefferson had grown suspicious of wine dealers and thought the only way to be certain of getting the real product, rather than a forgery, was to buy it on the spot. 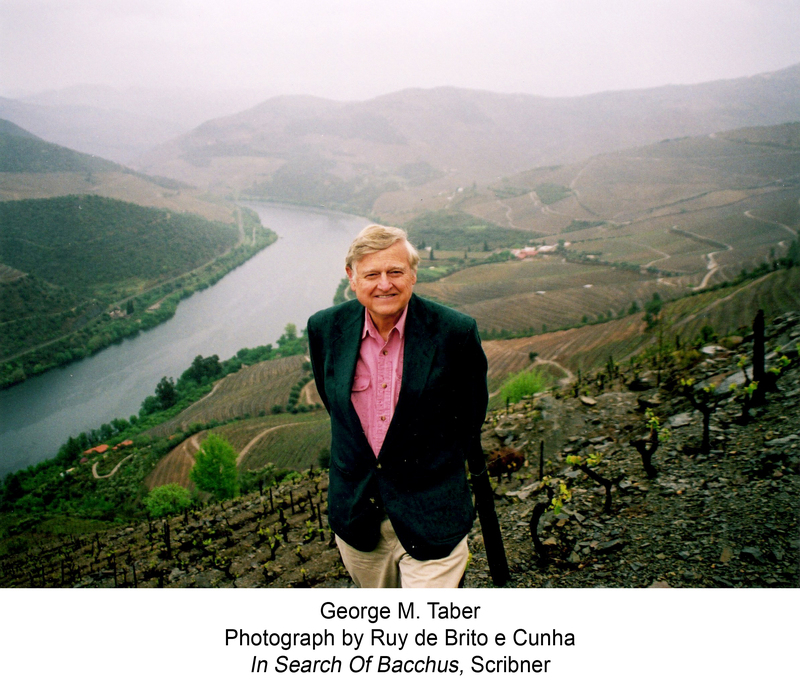 “Genuine wines can never be had but of the vigneron,” he wrote. When he arrived in Dijon, Jefferson hired a manservant to help him with the local dialects since he spoke only Parisian French. In his report, Jefferson noted that corn grew on the plains, while on the hillside, known as the Côte, vines were planted. In the red-wine towns of Pommard and Volnay he reported that the staple of the diet was “good wheat bread,” but a little farther south in Meursault, where white wines were made, people ate rye bread. When he asked why, “They told me that the white wines fail in quality much oftener than the red, and remain on hand. The farmer therefore cannot afford to feed his labourers so well. At Meursault, only white wines are made, because there is too much stone for the red.” He noted that the villages of Chambertin, Vougeot, and Vosne produced the best reds, but he also liked Volnay, which sold for only one-quarter as much as the others. On the white wine side, he looked again for value. Montrachet sold for the same price as a Chambertin, but a Meursault from the Goutte d’Or vineyard was one-eighth as much. Jefferson then placed a large order for Goutte d’Or. In Rozzano, Jefferson watched Parmesan cheese being made, recording the steps in great detail. Finally, he went to Genoa before returning to Nice via the Italian Riviera. Then he traveled through Provence and Languedoc, where he discovered Rochegude, a sweet white wine made near Avignon, and white and red Frontignan. They all became among Jefferson’s favorites. He bought 250 bottles of Frontignan and had them shipped to Paris. Like a man on a mission, Jefferson pressed on toward Bordeaux. From May 24 to May 28, Jefferson visited Bordeaux, staying at the Hôtel de Richelieu in the center of town. He traveled all around the wine capital of France, keeping records on viticulture practices as well as how much vineyard workers were paid, noting that men earned twice as much as women. Picking up an informal classification used in Bordeaux wine circles, Jefferson came up with the “4 vineyards of first quality” for red wines. They were: “Chateau Margau, La Tour de Ségur, Hautbrion, and Chateau de la Fite.” He also gave the annual production and owner of each. With modern spellings they are Château Margaux, Château Latour, Château Haut-Brion, and Château Lafite-Rothschild. They were the top four wines in the French classification of 1855 and are still considered outstanding. He also listed wines in Second and Third Growths. Among the dry white wines, Jefferson noted that the three best came from the Graves region: Pontac, St. Brise, and De Carbonius, which he said Benedictine monks made and sold for twice as much as the others. The latter is now known as Château Carbonnieux, although the white wine vineyards are no longer the same. Jefferson wrote that sweet Sauternes were “more esteemed in Paris” than dry whites and that “the best crop belongs to M. Diquem,” now Château d’Yquem. He cited two others, known today as Château Filhot and Château Suduiraut. Jefferson’s interest in local wines again picked up in Alsace, where he found the interesting vin de paille (straw wine) being made near Colmar. He recounted that vintners made it after leaving grapes harvested in the fall spread out on straw until the spring. “The little juice then remaining in them makes a rich sweet wine, but the dearest in the world without being the best by any means.” He concluded that a much better wine of that style is southern France’s Frontignan. On April 23, and after visiting the Champagne village of Épernay, Jefferson went to Meaux, a village famous for its Brie cheese, and then turned west to return to Paris. Only six months later, on October 23, 1789, Thomas Jefferson left France to return to the United States to become George Washington’s secretary of state. He shipped 363 bottles of French wines with him. Despite his love of Bordeaux reds, he took only white wines, and the majority of those were sweet wines such as Château d’Yquem and Frontignan. He also packed away thirty-six bottles of Champagne. While Locke and Jefferson traveled through the wine country of France, Robert Louis Stevenson, author of Kidnapped and The Strange Case of Dr. Jekyll and Mr. Hyde, visited the Napa Valley and wrote about it in his book The Silverado Squatters, which he published in 1883. Stevenson wrote his first story at the age of six and in his twenties was attracted to the bohemian life of artists in France. While living in an artist’s colony in 1876 in Gerz, outside Paris, he met Fanny Osbourne, an aspiring artist who had left a philandering husband in California with three children in tow, to paint in France. Although eleven years his senior, she and Stevenson were soon lovers. But in August 1878, she left France to return to California for an attempted reconciliation with her husband. After that failed, she sent a telegram to Stevenson, the contents of which were never known. But somehow she convinced him to sail across the Atlantic to join her in America. After Fanny’s divorce was finally granted, the two married in San Francisco on May 19, 1880. Stevenson already suffered from lung disease, and the couple took the advice of friends and spent a two-month honeymoon in the dry mountain air on Mount Saint Helena above the spa town of Calistoga. Because they couldn’t afford to stay in a hotel, a local shopkeeper pointed the couple toward the abandoned mining town of Silverado, where they stayed in an old bunkhouse. While he was there, Stevenson took copious notes that were the basis for The Silverado Squatters.